As the Temecula glass door design experts, Your Door Our Glass has blogged at great length about glass doors, door inserts, front entryways, and just about anything else related to doors. After all, someone has to provide people with excellent door information and glass door insert options. However, we haven’t taken the time to properly celebrate the door and understand its place beyond your doorway. Let us explain: Doors have made their way into every facet of our culture, including the world of figurative language and idioms—why is which this blog is dedicated to the most famous (and infamous) door idioms in the English language. The more door idioms you know, the more your friends and family will a-door (sorry) your expressive language and knowledge of the world! A Foot in The Door – This phrase means you’re trying to meet and get to know someone in order to persuade them to give you a job or an opportunity. Pushing At an Open Door – To easily achieve victory or a positive outcome because you have plenty of support from others and nothing is holding you back. Doormat – Someone who gets walked on—you know, in a figurative way. Don’t Let The Door Hit You On The Way Out – If someone says this to you, it means they’re upset with you and want you to leave a quickly as humanly possible. Byeeeeeeee. You Make A Better Door Than A Window – A common phrase used by dads in recliners all over the world, this phrase means that you’re probably standing in front of the television and should get out of the way. Wolf At The Door – The wolf is usually a creditor or a pushy salesman. Yikes! Shutting The Stable Door After The Horse Has Bolted – Trying to prevent something that has already happened. When One Door Shuts, Another Opens – When one opportunity goes away, another opportunity will take its place—so don’t stress and be patient! A Golden Key Can Open Any Door – Anything can be accomplished with enough money. Blow The Doors Off – To drive past someone very quickly. By The Back Door – By using corrupt or sketchy methods. If you’re doing something by the back door, it’s probably illegal. The Creaking Door Hangs Longest – Those who are sick often outlive those who are healthy. It isn’t fair, but it’s true. Broad As A Barn Door – Very, very wide. A door is more than a door—it’s a symbol of new beginnings and transitions, and a sign of exciting things yet to be seen. But a door is also a slab of wood and a centerpiece for your front entryway—and that centerpiece should be as beautiful as possible. That’s where Your Door Our Glass can help. 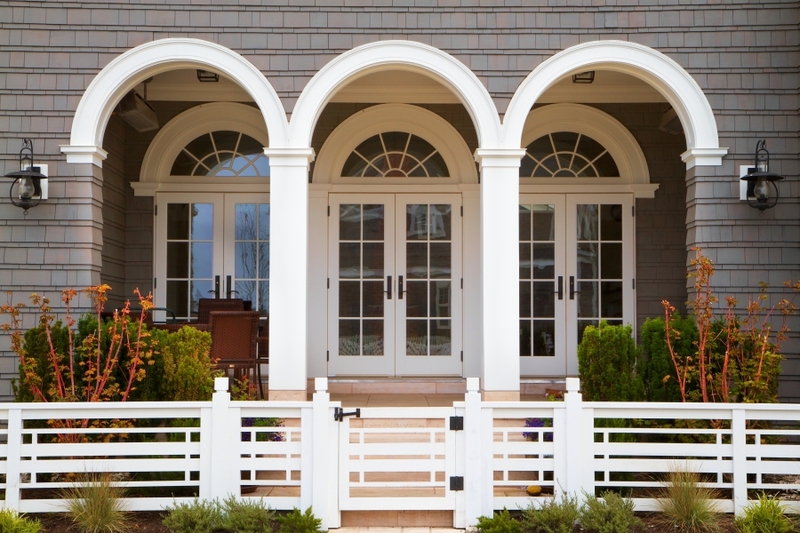 By putting glass door inserts into your existing door, you can transform the look of your front entryway, have more natural light in your home, and improve the curb appeal of your entire front yard. Don’t wait—get started with Your Door Our Glass today.